RESPECT is everyone's business at Nordia! 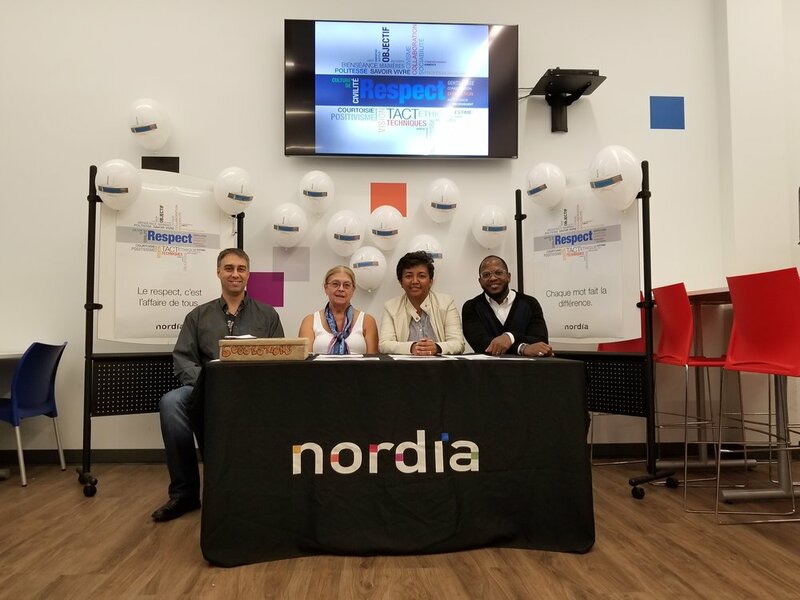 A few weeks ago, Nordia launched the Respect and Civility in the Workplace program for all employees. 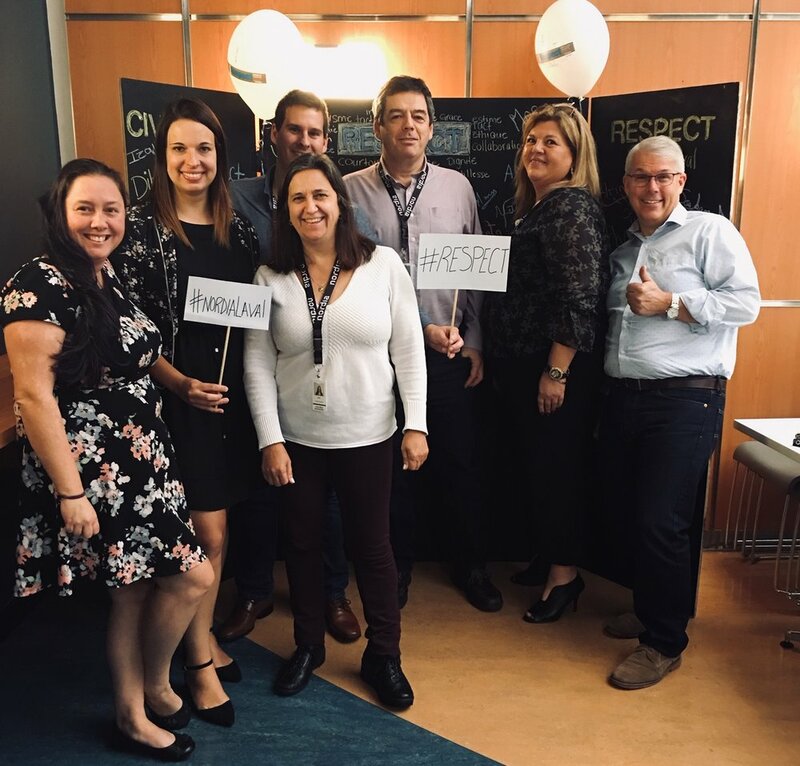 This initiative highlights the importance of working together to promote respect and civility in our workplaces. Whether it is to be courteous, keep the workplace clean or improve punctuality, everyone has a part to play in this project. To launch the project, the Civility and Pride squads of each centre set up information kiosks to promote the program and discuss the priorities for action to be implemented. Employees were able to take photos to capture the moment and participate in decision-making by proposing concrete actions to improve respect in their workplace and thereby enhance their pride in working at Nordia. Respect - We value it. We believe in it. We are taking action. Newer PostProudly wearing pink for the Cause! Older PostNordia Saint John rides for a great cause!